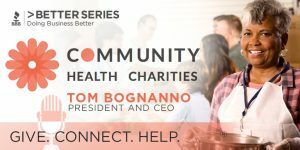 Tom Bognanno, President and CEO of Community Health Charities joins us on Better Series to give us insight into how companies can engage employees through workplace giving. As we embark on the time of year where giving is top of mind, listen in to see how you can win with employees by helping them do their part. 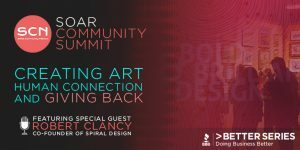 Robert Clancy of Spiral Design stops by Better Series to discuss the power of giving back and its impact on creating human connections with your business. Tune in to be inspired. 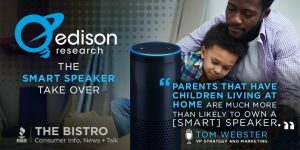 Tom Webster, VP Strategy and Marketing at Edison Research stops by The Bistro and talks Smart Speakers. This revolutionary device has transformed homes and has allowed us each a personal assistance in our lives. 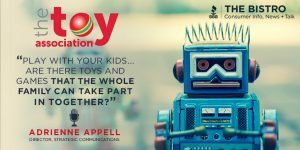 Listen in to see how much of an impact they are making and why you might not want to be left without one. Craig Rhinehart, Director, IBM Watson Health Innovation, and Market Development joins us again. This time around he is speaking on Artifical intelligence (AI) and the impact on business. 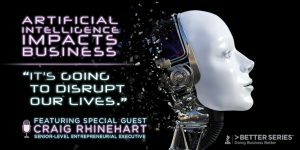 AI has been changing the lives of humans for decades, but Rhinehart reminds us that we can not afford to overlook the effects it has and will continue to have on business.